Reply 'For Mrs Maclean'. Cullen suspects a schirrosity of the uterine system or ovaries, because of her continued menstruation after he believes it should have ceased. 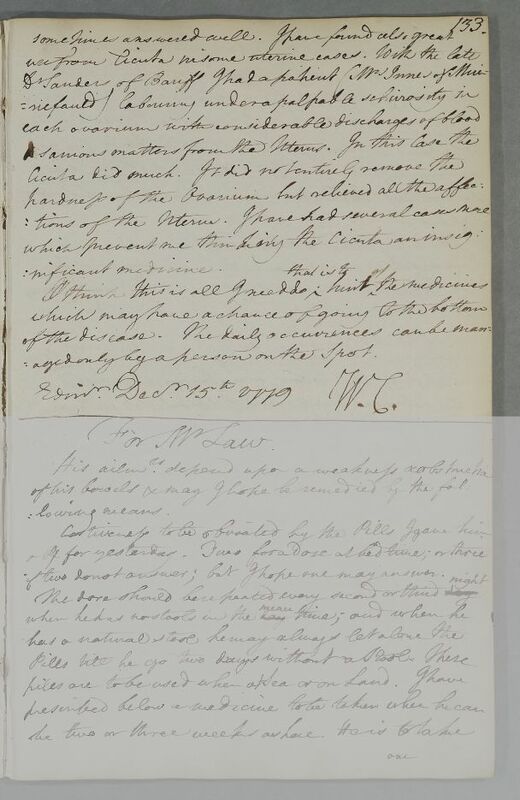 Comparison is made with the late Dr [James] Saunders' treatment of Mrs Innes of Muiryfauld. He recommends the use of Henbane Extract or of Cicuta. Summary Reply 'For Mrs Maclean'. Cullen suspects a schirrosity of the uterine system or ovaries, because of her continued menstruation after he believes it should have ceased. 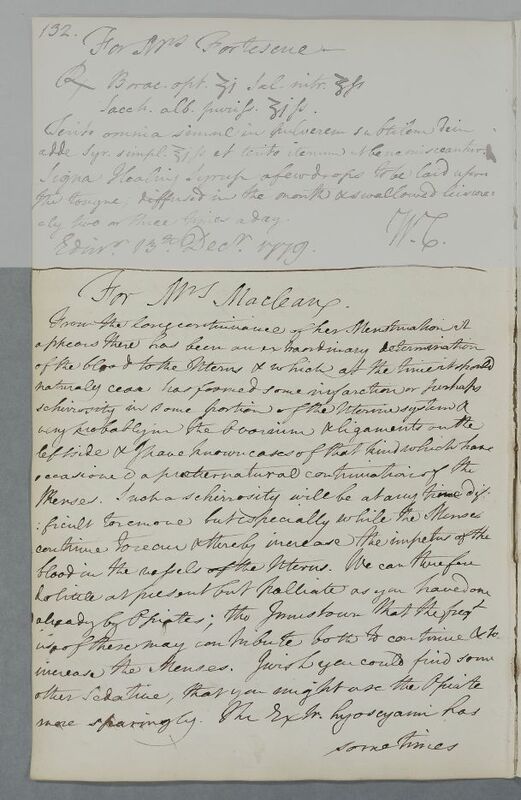 Comparison is made with the late Dr [James] Saunders' treatment of Mrs Innes of Muiryfauld. He recommends the use of Henbane Extract or of Cicuta. Case of Mrs Maclean of Coll, who has a menstrual disorder that Cullen attributes to a serious uterine condition. aged only by a person on the spot.